Welcome to the e-Book Cover Design Awards. This edition is for submissions during October, 2016. I’m very pleased to welcome Michele DeFilippo to The Book Designer as a guest judge this month. Michele has worked in book publishing since 1972, first at Crown Publishers in New York City, then as the owner of a traditional typesetting business from 1980-1993. She now owns 1106 Design which helps authors produce beautiful books while providing solid indie-publishing advice and hand-holding every step of the way. Her mission is to cut through the noise, stay focused on quality, and simplify the publishing path for her clients. 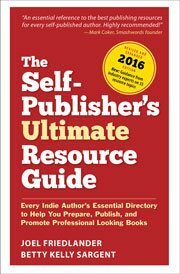 You can contact Michele and download a free copy of her book, Publish Like the Pros: A Brief Guide to Quality Self-Publishing at http://1106design.com. I’ve added comments (MD: ) to many of the entries, but not all. Remember that the aim of these posts is educational, and by submitting you are inviting comments, commendations, and constructive criticism. Dane Low submitted The Pearl and the Carnelian designed by Book Cover Design by EbookLaunch.com. MD: Gorgeous, outstanding photo and design. This cover looks like a best-seller. MD: Terrific, sophisticated, eye-catching cover perfectly conveys the message that there are many ways to promote a book. Kudos. MD: Nice artwork, especially the hearts in the sky. There’s a little too much space between the D and R in Dreams and also between the R and the E. I’d tuck these in closer. MD: Very nice, sophisticated, and Victorian. MD: Very nice. Skillfully crafted typography and a compelling image. MD: The title is very hard to read and the composition isn’t good. There’s a lot of wasted space. This looks more like a brochure or a report than a book cover. MD: The image is compelling. The classic, “handtooled” type fonts don’t seem to be a good fit for a vampire novel or a romance. MD: The image is dramatic and interesting. The bright dragon’s mouth pulls the eye first to the author’s name and away from the title. Ava Hayworth submitted Captivate her designed by Amy Hayworth. MD: Good typography. The word Captivate could perhaps be a bit bolder for better contrast against the woman’s hair and the splashes of color. Ava Hayworth submitted Cherish her designed by Domi, Inspired Cover Designs. MD: This cover is better than Book One or Book 3 (below). The beautiful photo and the absence of other distractions makes the title pop. Ava Hayworth submitted Dazzle her designed by Domi, Inspired Cover Designs. MD: The busy photo and color splashes distract from the cover text. MD: This cover concept is good but the execution is a bit amateurish. All the elements are equally prominent, fighting for the viewer’s attention. I’d give this concept to a designer as a starting point. MD: Good contrast between the title and the background. It does go well with the previous cover, but the typography on both could be enhanced. MD: Nice typography and design. The blurred figure in the background increases curiosity. MD: Nice design that matches the author’s other books on Amazon. The titled hourglass draws the eye. MD: The cover has too many elements in different styles and the arrangement is a little confusing. The bright blue color clashes with the camouflage background. MD: Very cute and eye-catching. Nicely done. Chris Mason submitted P is For Phoenix: An ABC Book of Legendary and Mythological Creatures designed by Vladimir Cebu. MD: The image isn’t bad. The title treatment is overworked. Photoshop effects are nice when subtly applied. These overpower the words. Dane Low submitted Winter Rage designed by Book Cover Design by EbookLaunch.com. MD: An excellent cover. Beautiful typography and a mysterious image bleeding into the cover text. Dane Low submitted Days of Future Past designed by Book Cover Design by EbookLaunch.com. MD: An excellent cover with a compelling illustration. Dane Low submitted Lost and Found designed by Book Cover Design by EbookLaunch.com. MD: A gripping image and a title treatment that draws the eye. Very good. MD: An excellent cover. Eye catching with perfect coloring for horror and dark fiction. MD: Excellent design and typography. Top notch. MD: Also excellent. Perfectly aligned with the first book in the series. MD: Excellent again. Wonderful series design here. MD: Excellent cover design. Compelling image and creative title treatment. MD: Excellent design that goes with the first book in the series. MD: Dramatic illustration, nice title treatment. An eye-catching cover. MD: The photo of the hand and gun is a little overwhelming in this cover. The title is hard to read. The colors are right for a mystery or adventure. Deborah Coonts submitted So Damn Lucky designed by Andy Brown. MD: The colors are a little cheerful for a mystery. The covers on Amazon are different, and better, IMO. MD: The concept isn’t bad, but the typography misses the mark. Emmanuel Obi submitted Bruce Howard – Gentleman with a Loaded Gun designed by Emmanuel Obi Jr..
MD: From the Amazon description, this sounds like a good book, but the cover doesn’t reflect that. No color, no emotion and a “Broadway” font. It looks self-published. MD: A compelling image draws the eye to this cover. The title treatment needs a tune-up to capture the mood of the image. Hydra Burton submitted Marks Choice designed by Hydra Burton. MD: The cover image isn’t bad but it’s overpowered by the unnecessary black box around the title and the band behind the author’s name. The fonts are bland. The title should have an apostrophe, Mark’s Choice. MD: Nice illustration aligns with the other books in the series. All have a quirky look and feel in keeping with the theme. MD: Nice image. The title is a little hard to read. Ivan Zanchetta submitted Legacy designed by Ivan Zanchetta. MD: Nice, eye-catching cover. Nice title treatment. Ivan Zanchetta submitted Lost and Forgotten – Book One designed by Ivan Zanchetta. MD: A very good cover, as is the second book in the series on Amazon. MD: Beautiful illustration and well-crafted title typography make this cover stand out as the author intended. The treatment of the author’s name adds a bit of confusion. Linking the two “Os” in different sizes looks more like a symbol that is separate from and unrelated to the name. Jade Zivanovic submitted 44 Rillington Crescent designed by Steam Power Studios. MD: The graphic on this cover successfully draws the eye, but the title treatment is bland. James Egan submitted Mr. President designed by James T. Egan of Bookfly Design. MD: An eye-catching monochrome design and a compelling photo. Sophisticated use of light and shadow on the vertical title perfectly complements the image. Nice. James Egan submitted Outside the Limelight designed by James T. Egan of Bookfly Design. James Egan submitted Golden Dragon designed by James T. Egan of Bookfly Design. MD: Script font doesn’t quite work for a children’s book. The illustration is off-center and the colors in the illustration clash with the background pattern. MD: The oval and the silhouette of the soldier draw the eye, but the typography on the cover doesn’t quite work. A good cover concept is here in raw form, but the execution is lacking. MD: The illustration on this cover is good, but the title font is without emotion and poorly spaced, with too large a gap between the first two letters. The award medal should be smaller and relocated. In its current size and position, it overpowers the spacecraft. Jim Cronin submitted Recusant designed by Solstice Publishing. MD: As with Hegira, the illustration is good but the typography is lacking. The author’s name is almost as large as the title. MD: The bright playing card immediately draws the eye. The reflection of the card is a bit too bright. The three font styles don’t really go together and the title treatment could be improved. MD: The photo is eye-catching but the composition is off balance. A larger title, smaller author name, and relocation of the series title would help. MD: The colors are correct for a techno thriller. The spider works, but the typography is otherwise bland. The type, as well as the image, should convey the emotion of the story to the prospective buyer. Kim Streible submitted The Butterfly and the Moonbeam designed by Clarissa Yeo. MD: Beautiful type and a beautiful illustration make a compelling cover. I wish the butterflies did not obscure the girl’s face. MD: A beautiful illustration, high in emotion, but a bland title treatment. Lee Hall submitted Open Evening designed by Design for Writers. MD: The diagonal slashes draw the eye, but the cover art doesn’t provide any clue that the story takes place in a high school. The composition is bottom heavy, with all the text crowded together. Perhaps the title could be larger, at the top for more impact. MD: An effective title treatment and illustration as described. The author’s name is a bit too large and bold. It fights with the title. MD: The illustration draws the eye but the composition is lacking. There’s plenty of room below the illustration for the series title and the authors’ names. Why obscure the art? MD: Very nice design and skillful combination of images. The title is a little hard to read against the background texture. This would be solved if the title were bolder or the texture were muted. MD: The author’s design skill is evident in this eye-catching, high-contrast cover. The title could be larger and the author’s name brighter. Oli Jacobs submitted Wrapped Up In Nothing designed by Elaine M Will. MD: A compelling red-hot image and distressed font set the stage for this violent story. The title is crowded at the top and the author’s name is larger than the title. I’d move the image down and extend the sky to make room for a larger, three-line title and decrease the size of the author’s name for more impact. MD: A good start. The illustration is compelling. The typography needs a little help. I’d make the title larger and brighter, more like the bright spot in the image and give it a more creative treatment. I’d either remove Talon Stormbringer from the cover entirely, or place it above the title. In its current location, it could be misconstrued as the author’s name. MD: The image is OK, but perhaps too bright. Too many font styles that don’t go together at all. Rena Hoberman submitted Chosen: Humanity designed by Rena Hoberman of Cover Quill. MD: Beautiful illustration. The woman’s diagonal posture sweeps the eye from the title to the author’s name. The title could be bolder for better visibility in small sizes. MD: The photo is compelling, but after reading the description on Amazon, the fonts and colors on this cover are all wrong. I’d colorize the photo and choose different fonts more in keeping with the story. This looks like a pleasant, and possibly humorous, memoir. MD: Beautiful, effective cover. Engaging, emotional illustration and well-crafted typography. Nice. MD: The cover photo is good. The red title on the black background is hard to read. I’d choose another color, or perhaps colorize the photo red and make the title white so it pops. MD: The typography works, but the illustration seems less appropriate after reading the description on Amazon. Sherry Soule submitted Immortal Eclipse designed by SwoonWorthy Book Covers. MD: A good cover design, typical of the genre. The background and foreground images look pasted together. The figure is brightly lit but the background is monochromatic and in shadow. Some blending would look more realistic. MD: The image is too contrived and the title font is overworked. If the creature were rendered in warm colors instead of cool blue the image would be more believable. MD: A lighthearted cover that goes with the others in the series on Amazon. Good illustration. MD: Excellent photo illustration and good title treatment. MD: The dark blue background and heavy, black title seem at odds with the book description above. MD: Keywords in titles and subtitles are good, but this cover is much too busy. Too many images, too many focal points, poor design. Sorry. MD: This cover is much too busy. The silhouette is overpowered by the flash in the background and the type is unreadable. This is a decent concept, just poorly executed. Dane Low submitted The Art of Monitoring designed by Book Cover Design by EbookLaunch.com. MD: Nice design, nice art, clever title treatment. A subtitle wouldn’t hurt to tell the buyer what the book is about. MD: The photo and title treatment are too contrived for a self-help book. A book cover should show the solution, not the problem. Buyers are diverse in every way, and they like to see themselves in the cover. Showing one gender or race on the cover automatically excludes everyone else. MD: Nice. The colors are cheerful and eye-catching and the type is well-crafted. A nice change from the typical Bible study guide. Dawn Taarud-Martinez submitted Murdered In The Cemetery designed by Dawn Taarud and Lisa Stone. MD: The image isn’t bad but the title treatment could be improved. Perhaps a bold condensed with “Murdered” being very large and “in the Cemetery” in a single line beneath it. The yellow subtitle, stacked in three lines with the empty space to the left seems odd. MD: The cover is a little busy. The ultra-bold author name seems out of place with the other font choices. Holly Worton submitted Walking the Downs Link: Planning Guide & Reflections on Walking from St. Martha’s Hill to Shoreham-by-Sea designed by Kim Killion. MD: The image is good. The title and subtitle typography could be more creative. MD: Dark, emotional, eye-catching cover. Perfect! MD: Nice image and title treatment, though it might pop more in white than black. I wonder about the dark red background which can communicate danger, blood, negativity for this otherwise helpful book. MD: The lines of the cover definitely draw the eye, but the overall effect seems more depressing than inspirational. The title fonts are bland. MD: The photo is charming. I’d find a way to make it fill the entire cover so that the title, subtitle and image are seen as a unit instead of being broken up. I’d rewrite the subtitle to better explain the title. MD: Looks homemade and self-published. No design, no typographic skill. The author’s name should not be at the top. MD: The design looks old fashioned. I’d find a more diverse photo and lose the black bands. MD: The design is too busy and the fonts are not well-crafted. The title and subtitles should be rewritten to make an immediate and clear promise to the buyer. MD: A compelling title and cover design. I’d put more thought into the image of the lips. Why are the three steps out of order? Perhaps the numbers should be removed. MD: The image of the woman is beautiful, but the fiery red background fights it. The title treatment is bland. Teddi Back submitted The Power of Creativity designed by Teddi Black. Teddi Black submitted Selah in the Storm designed by Teddi Black. MD: An evocative image and well-crafted type. A successful cover. MD: The single flower on an indistinct but clearly not pleasant background is very effective. The title font works, but the font for the authors’ names doesn’t quite go with it. So happy to see James T. Egan win two gold stars for his Bookfly Design covers this month. I am the proud owner of the OUTSIDE THE LIMELIGHT cover – this is one of two sensational ballet-centric covers Bookfly Design created for my Ballet Theatre Chronicles series, and my feeling is that James hit the ball out of the park both times. So pleased to see him get the credit (and gold stars) he deserves for his work! Thank you, Michele and Joel, for respectively judging and running this contest. When I was searching for cover designers, two years ago, I found archived contests/awards to be extremely helpful, as both an author and an independent publisher. Thanks, Joel, for keeping this contest going! It was my pleasure, Terez. Good luck with your books! Given the differences in the reviews, I’d love to hear Joel and Michele discuss why “Super Speed Sam” warranted such different comments today relative to the review in https://www.thebookdesigner.com/2016/09/e-book-cover-design-awards-august-2016/. Hello, Kevin. It’s possible to suggest changes on nearly every cover, but in this case your series “look” was already established and I wanted to honor that. Thank you for creating this platform and taking the time to review my cover. I appreciate the feedback and have incorporated the suggested changes for my next edition. It was my pleasure, Pradeep. Good luck! Honored to be recognized! Thank you, Michele! My pleasure, Teddi. Good luck with your book! Thank you so much for the gold star award for Leaving Spirit! Second time entering the contest and I received a gold star. Happy dance! LOL, and well-deserved, Mariah! Good luck! Thank you for being there displaying the delightful and inspiring book covers that are so creative. It was great fun for me, too! Thanks and good luck with your book! Thank you, Michele, for taking the time to give your professional feedback to all of the submissions. You’re very welcome, Dane. There was no question in my mind about this cover. I would award a gold star to Lost and Found. The detail yet simplicity of the cover is so eye catching. I love the color choice, the landscape on top, and the placement of Odd Stories. The complication of the design could have been a mess but was really well executed.